The Ultimate Fighting Championship was all about UFC 159 bout announcements on Tuesday night. 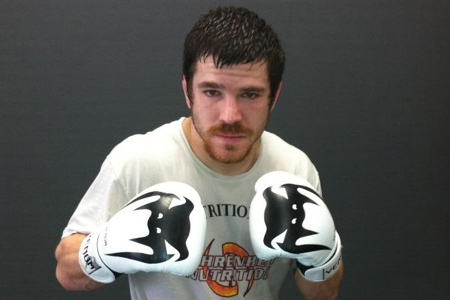 Less than an hour after confirming a heavyweight scrap between Roy Nelson and Cheick Kongo and a light heavyweight matchup with Vinny Magalhaes and Phil Davis to the lineup, the promotion added a lightweight tango between Jim Miller (Pictured) and Pat Healy to the April 27th roster. Miller has alternated between wins and losses over his past five outings. The 29-year-old battered and bloodied Joe Lauzon in his last foray for a unanimous decision victory. Healy makes his big league debut riding a six-fight winning streaking. The former Strikeforce top contender beat Kurt Holobaugh earlier this month in the promotion’s finale. Prudential Center in Newark hosts the festivities.